Perfect for those who have an adventurous spirit. 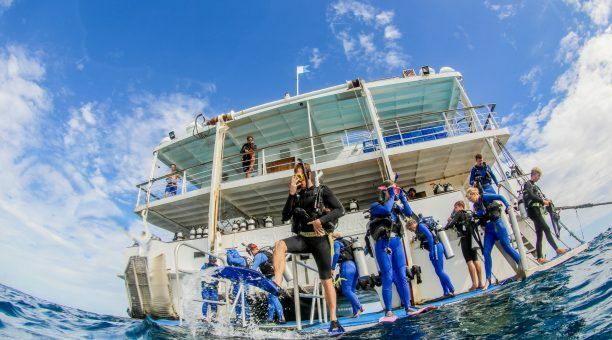 The Great Barrier Reef and Daintree Rainforest Surfing Tour is action packed. After all, it includes swinging through the jungle and swimming on Australia’s Great Barrier Reef! 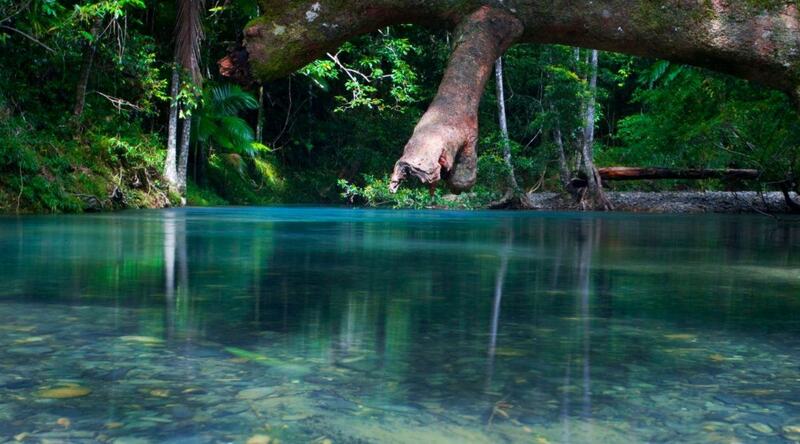 Discover lush green mountains in the oldest living rainforest on the planet. 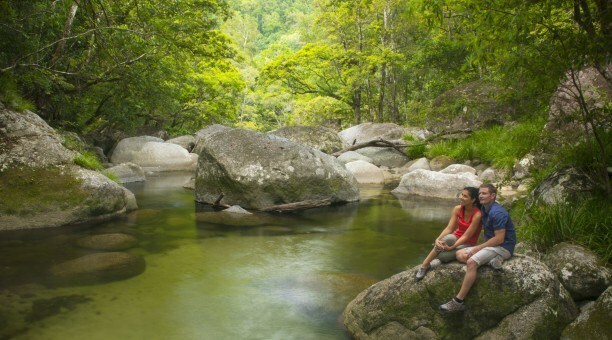 Australia’s Daintree Rainforest is a piece of paradise! 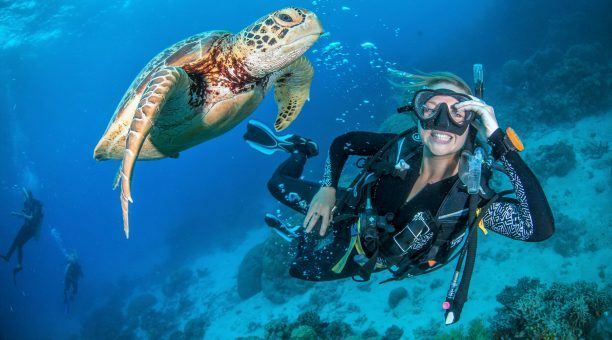 Visit to Australia’s Great Barrier Reef! 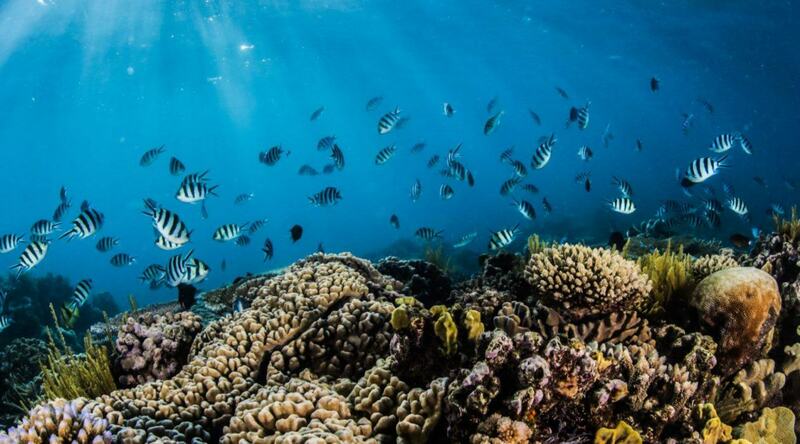 Home to amazingly diverse marine life. 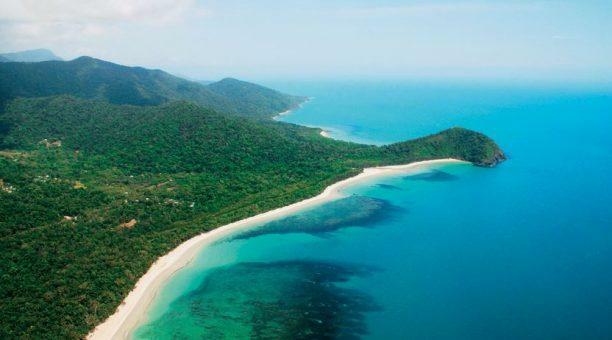 Our Great Barrier Reef and Daintree Rainforest Surfing Tour ticks 2 World Heritage sites off your bucket list! 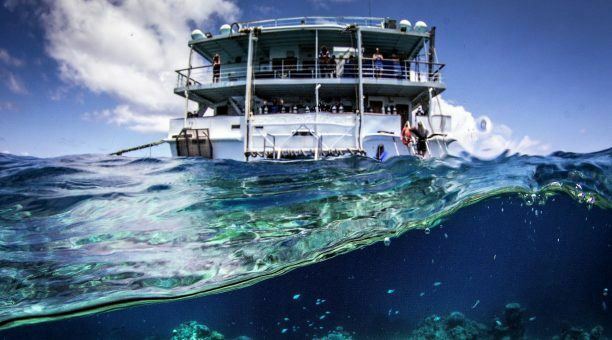 Imagine waking up surrounded by Australia’s Great Barrier Reef! 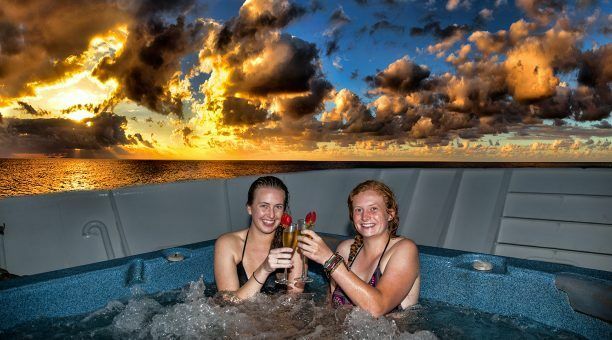 Reef Encounter is an exceptional way to experience the reef. In this package, you decide how long you would like to stay. We have packages to suit everyone. We find that people want different options. On Reef Encounter you can choose between snorkel, introductory scuba dive, certified dive or learn to dive packages. To view the Reef Encounter daily itinerary, click HERE. Reef Encounter has 21 Staterooms all are fully air-conditioned, with views of the Great Barrier Reef. 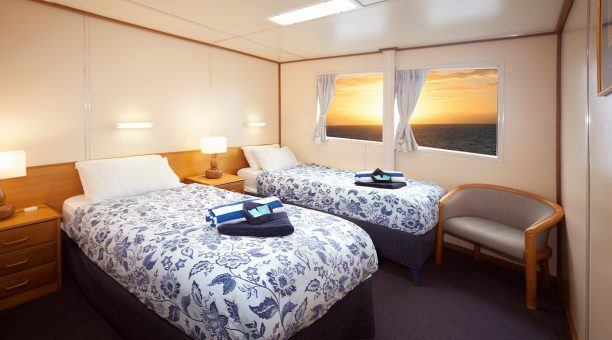 All staterooms have ensuite bathrooms. Beach and bath towels are included. Great Barrier Reef Toiletries (Shampoo, Conditioner and soap). Room Size 12.5 square metres. Bed Options 2 Twin or 1 Double. Extra beds 1 rollaway bed is available for children under 12 years on request (please add to booking if required). Baby cot on request (please add to booking if required). Experience the Reef, with The Best Crew On The Reef! Fast catamaran transfers from Cairns daily to Reef Encounter on Reef Experience. Spectacular scenic helicopter transfer *Extra cost, 2 people required to operate. 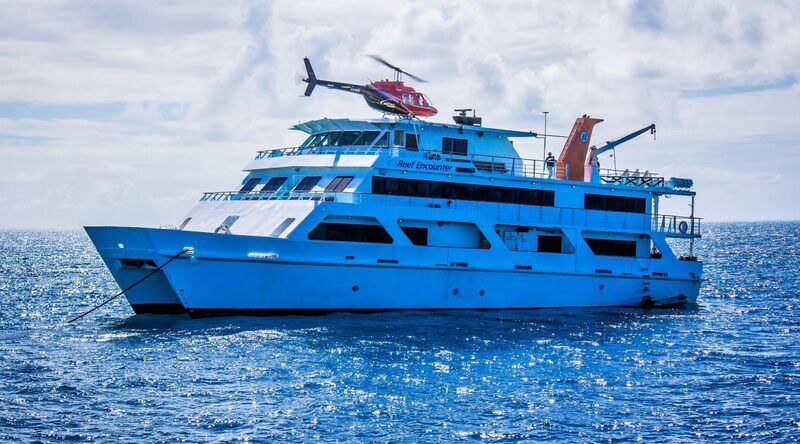 Sleep on the Great Barrier Reef with Reef Encounter. 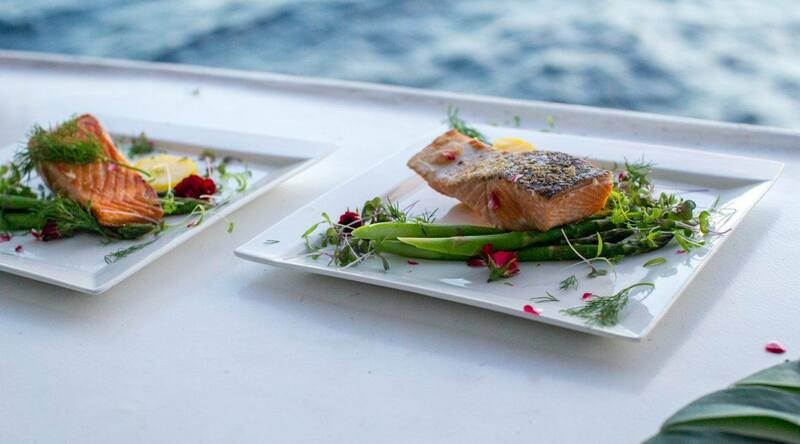 All meals prepared fresh daily, by our on board Chef. Breakfast, lunch, dinner, and desert. Fruit available throughout the day along with tea & coffee. The best crew on the reef! 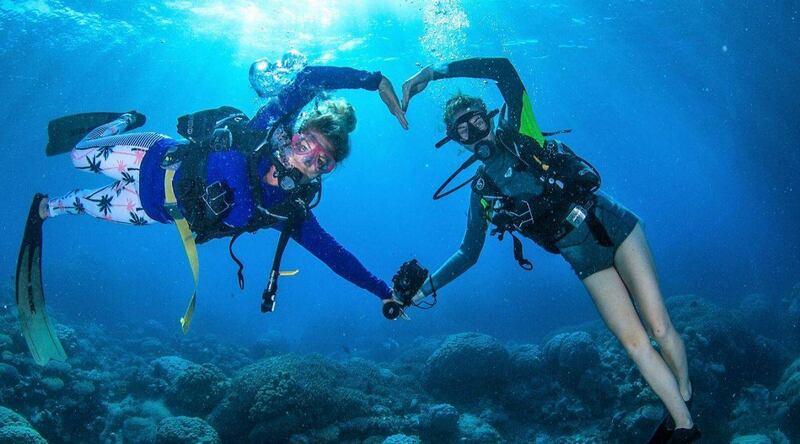 The Reef Encounter team is the best in the business. Winning personal and professional awards for outstanding customer service in the tourism industry year after year. The latest snorkeling and scuba diving equipment (wetsuits are a small additional charge). Glass bottom boat tour upon request. On the voyage to Reef Encounter, you will have the option to listen to an informative Marine Biology presentation about the coral reef and marine animals. Free luggage storage facility available at our offices in the Cairns City. 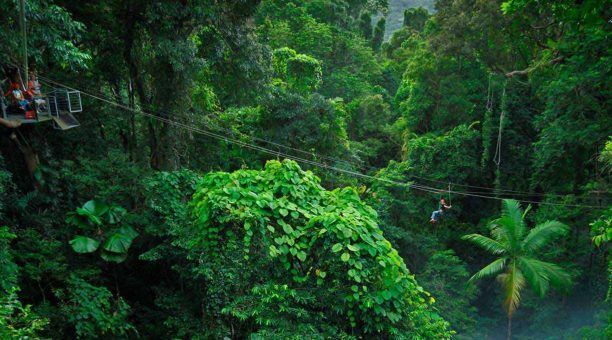 Jungle Surfing through the oldest rainforest on the planet! 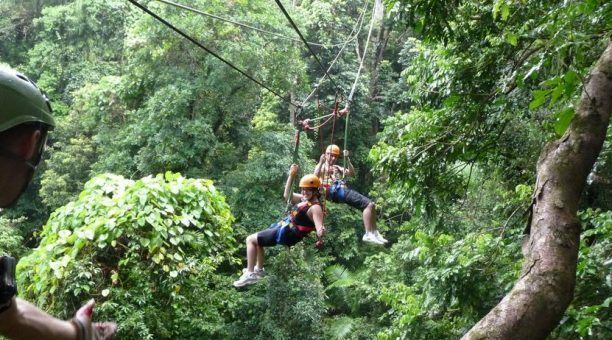 Travel to Cape Tribulation and experience this exciting activity, all in one day! Jungle Surfing is a unique and exhilarating way to experience the beauty of the Daintree Rainforest. A fun, educational, fully-guided, all-weather activity. Fly through the trees on zip lines. Stop at five platforms with a bird’s eye views over the treetops. Soak up views of cascading streams and the Great Barrier Reef. A highly trained team of tour guides and abseiling specialists will be with you every step of the way. Leading you safely through the canopy. Offering interpretation and insight into our World Heritage Listed rainforest environment from every platform. 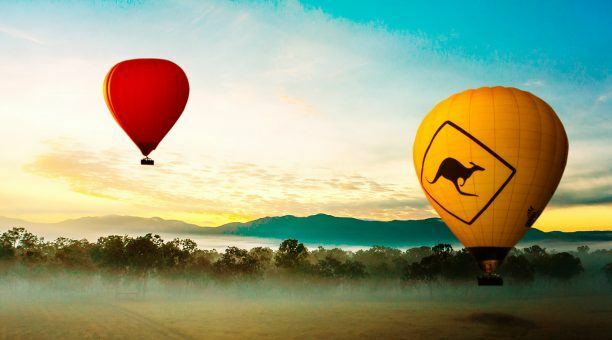 The flight choice is yours – slow, fast or upside down. 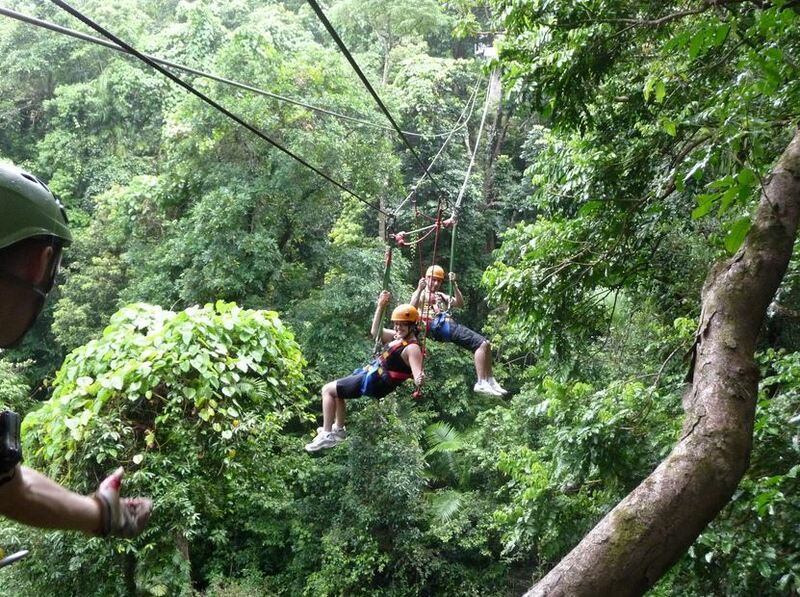 Cape Tribulation Jungle Surfing is ideal for the young and the young at heart! 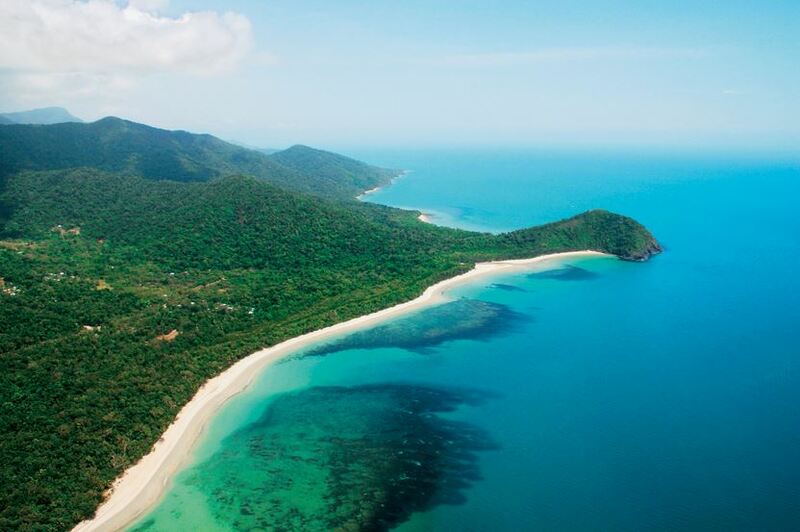 One of the most scenic coastal drives in Australia along the Captain Cook Highway to Port Douglas. The Wildlife Habitat – See the endangered cassowary and other Aussie wildlife. The opportunity to have your photo taken holding a koala, snake or crocodile (extra cost). Breakfast or snacks available for purchase. 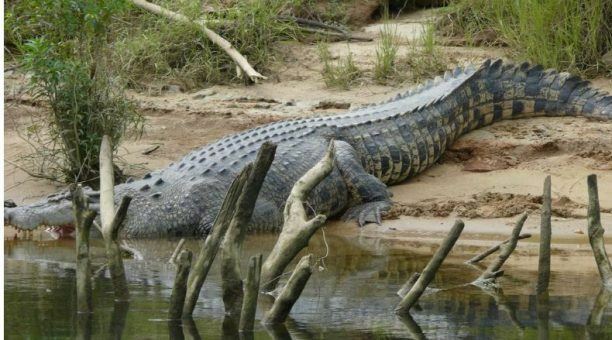 Daintree River Ferry – Cross and enter Daintree National Park into Cape Tribulation. Cape Tribulation Jungle Surfing. Fly through the trees on zip lines. 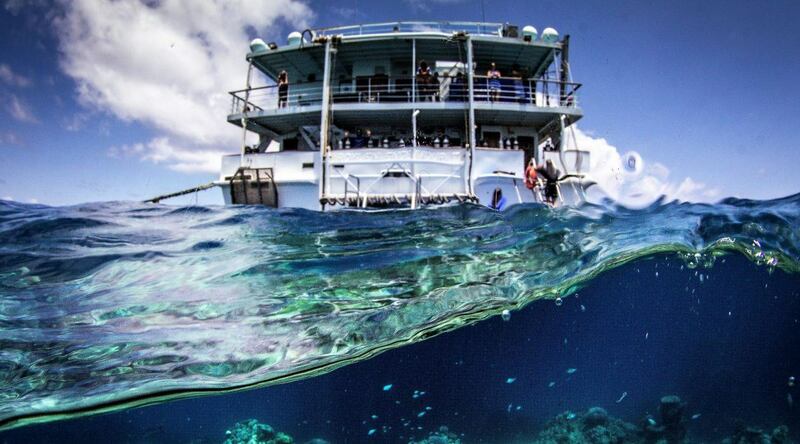 Have a bird’s eye view into the canopy and out to the reef. 07:30 – Bus transfers commence from Cairns City accommodation. 0900 – Arrive at The Wildlife Habitat (Port Douglas). 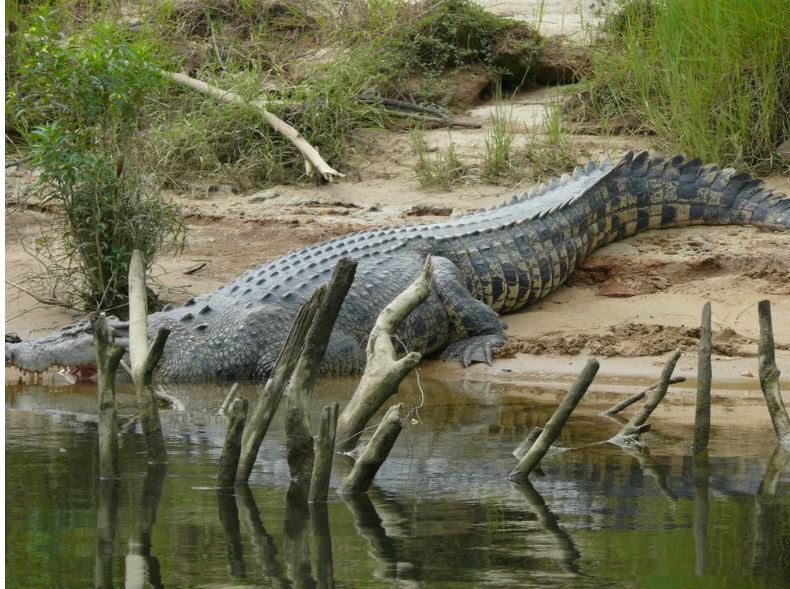 1100 – Daintree River Cruise. 1345 – Jungle Surfing Canopy Tour. 1630 – Depart Cape Tribulation. 1930 – Arrive back to Cairns. Departs Daily (except New Years Day and Christmas Day). Long shorts or trousers (no skirts). Money for drinks, snacks & souvenirs. No prior experience or specific fitness required. If you have restricted mobility or are concerned about a specific medical condition, please contact us prior to the tour. We will be happy to discuss your requirements and make our best efforts to accommodate you. All of our packages can be done in the order that suits you best.